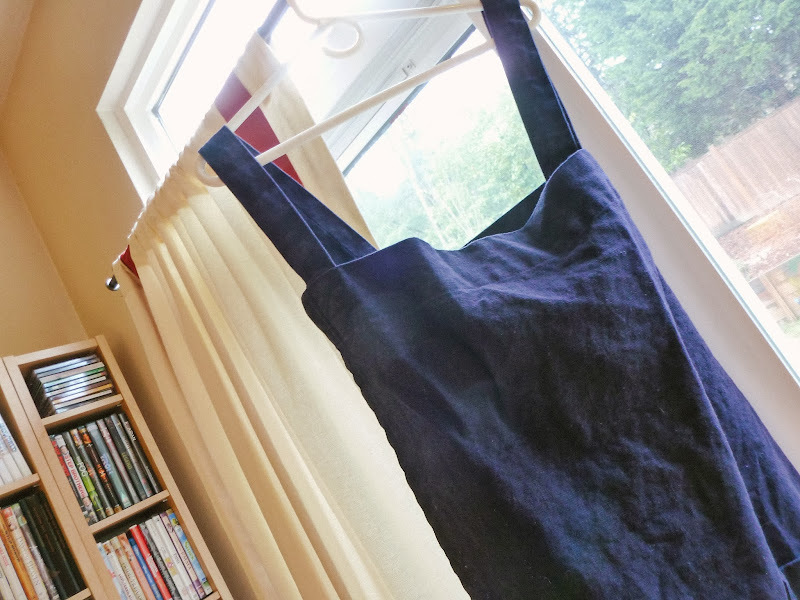 I don't know if any of you recall that a few months ago, I was really hankering after a linen apron that I had seen on Pinterest. 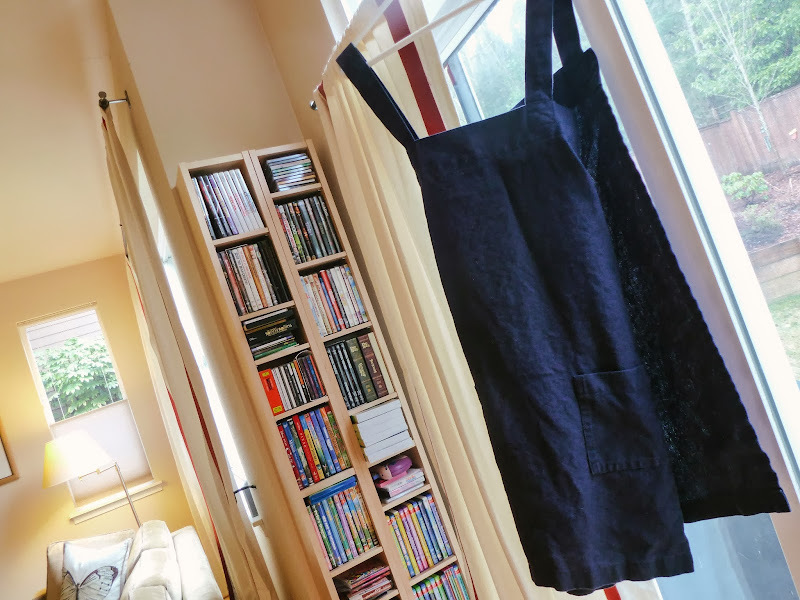 Well, not long after that, it was like the apron fairies heard me because a lovely lady and fellow Seattle-ite named Jill Amsberry got in touch with me, and asked if I would like to see and review the linen jumper-style aprons that she sold in her Etsy shop, Dandy Stitch. So then this apron arrived at my house. Navy. Linen. Simple. 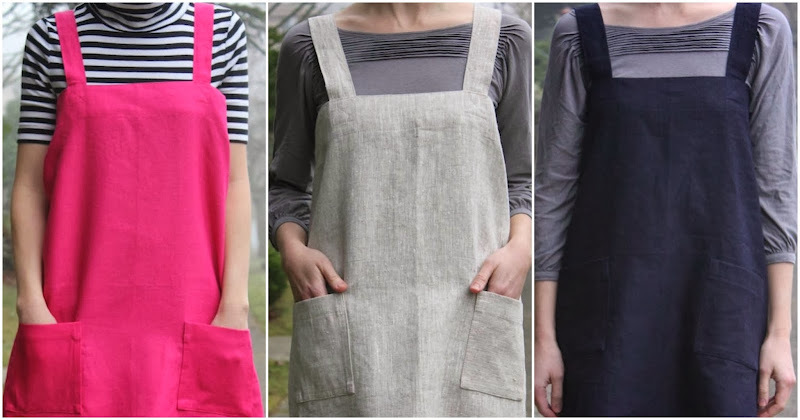 Inspired by similar ones found in Japan and meant to be worn for cooking, gardening, crafting or....if you are Melissa, just wearing because It's Apron Day! 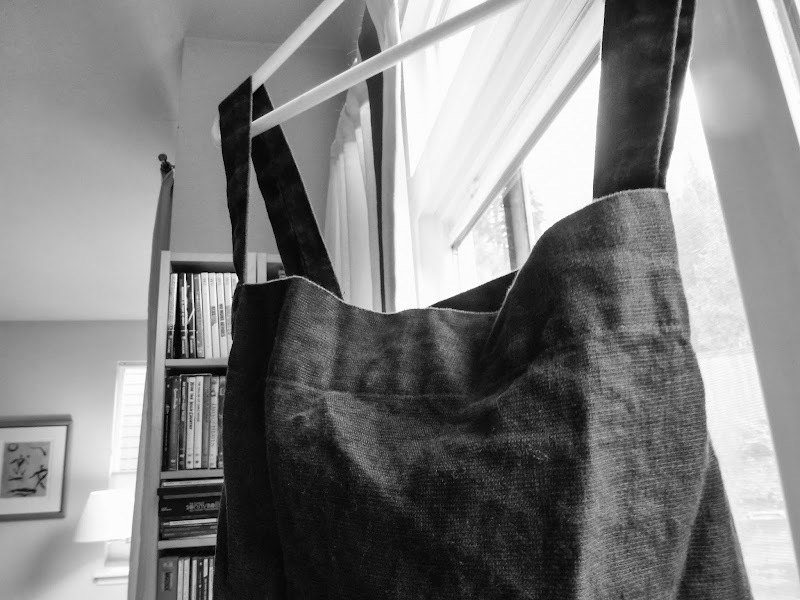 And since this lovely appeared in my house, I feel like most days are apron days! I LOVE IT. No wait. I didn't get that quite right. Why do I love it? So many things. The weight. Not flimsy. But not heavy. That's the beauty of linen! Also, if you don't know this about linen, it gets softer the more you wash it. The apron was a bit stiff brand new, but after one wash, it developed this wonderful FLOW to it, you know what I mean? A swishy, soft drape that I just adore. I made a little collage of the different colors Jill has available. Aren't they SO AWESOMELY CUTE?? Ok hello, I did not fully realize there was a pink. I adore navy, so I requested navy, but now that I see this pink color......I'm going to need this pink one in my life at some point. 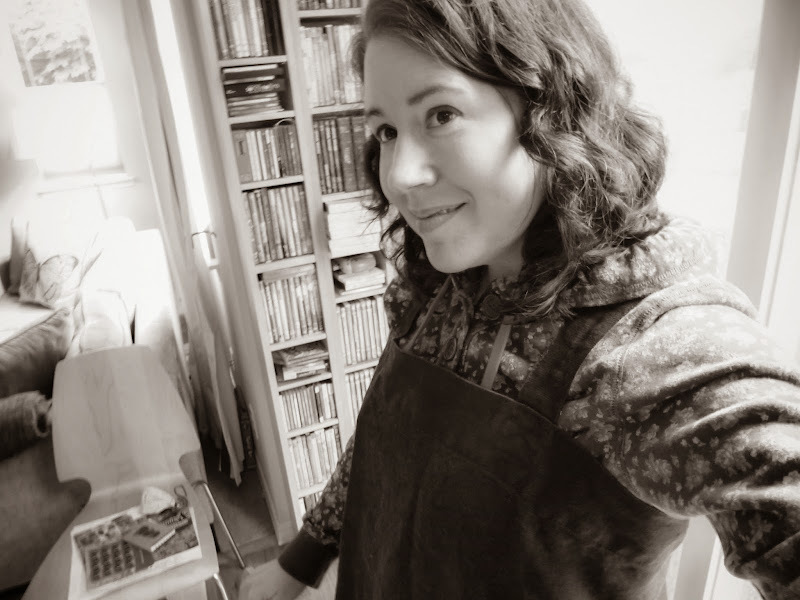 And here's me, wearing my apron. Over a hoodie because I'm freezing all the time right now. I apologize for not getting a full body shot, I don't have a full length mirror to point the camera into. THANK YOU JILL!! You are so clever! 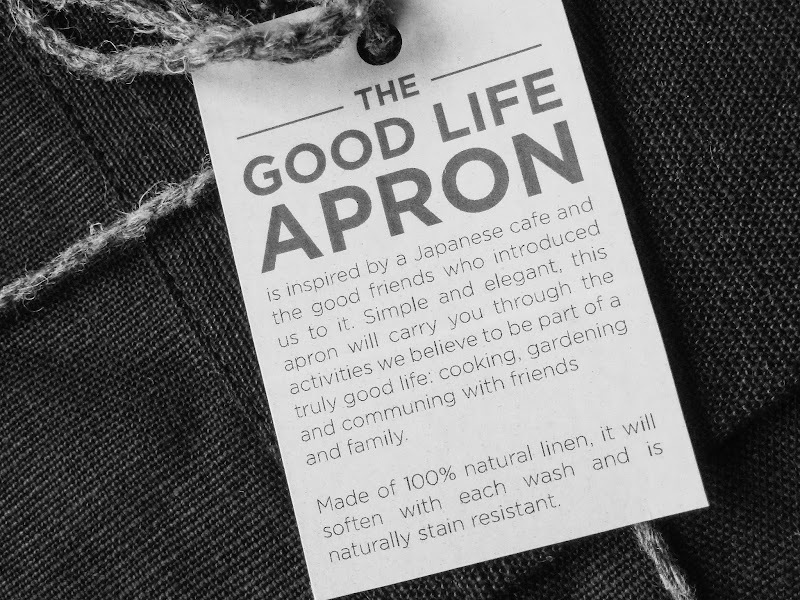 I adore the apron! Friends, you should head on over to Jill's Dandy Stitch shop and check out her other offerings as well. She has aprons for kids too!! And for the rest of the month of February, Jill is offering a 20% discount to my readers on all of her creations (go look at the capes and skirts she has!!! ), using the promo code 'BOOKSROCK'. Definitely go and take a peek ~ I would love to get the fuchsia kid's apron for Julia! yes!!!!! can you believe it???? i seriously could not believe it. i don't think i would be more thrilled if i won the lottery. well......i would, but seriously, this is a close 2nd. Ooooooooooooooo I want one. I love the shape. Fantastic. i want one too. another one. THE PINK ONE! Oh goodness, that's so lovely! It looks so much more practical than my aprons... I love it! confession: jill is my sis-in-law. BUT i also love love love this apron. and i might even say that the shorter version exists because of my cropped body! happily, both versions work great on many body types -- and i end up wearing mine around as an everyday, every-project kind of tunic. it's fabulous! Hi Casey!!!!!!!! you have an inside line to Jill, the apron making genie?????? LUCKY YOU!!!! so awesome. I wear mine alllllll the time! 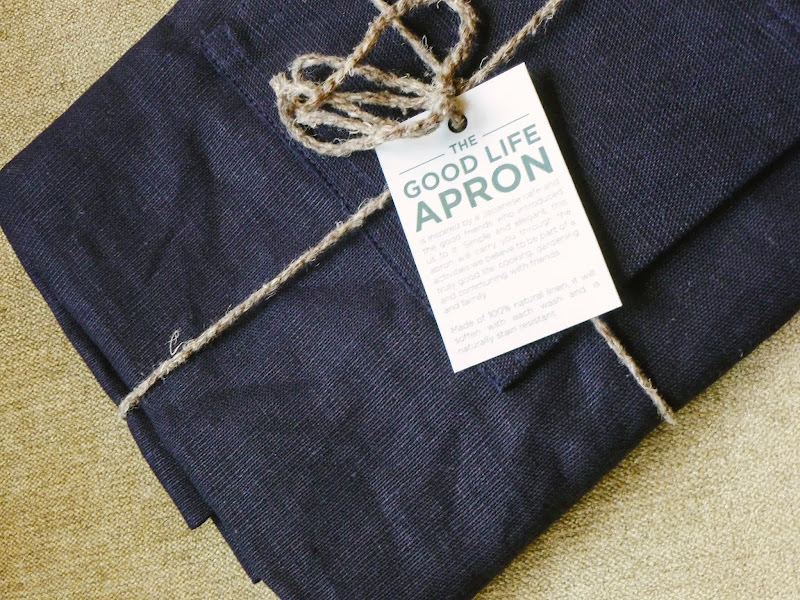 Yay for your apron wish to become reality! It's a lovely apron and I do like Linen very much! Looks great on you too! You need to buy a full-length mirror!